You are here: Home / LIFESTYLE / Your Home / A Green When Its Blistering Hot Outside? You Can Do It! A Green When Its Blistering Hot Outside? You Can Do It! Well for most people the answer is going to be not that well. After all, trying to keep your garden looking great when you are fighting against a hot and dry climate can be a real challenge. Happily, there are some tactics that you can use to ensure your garden look magnificent no matter what the time of year or the temperature. Read on to find out what they are. First of all, if you are trying to keep your garden as green and lush as possible, no matter what the weather then using irrigation can be the answer. 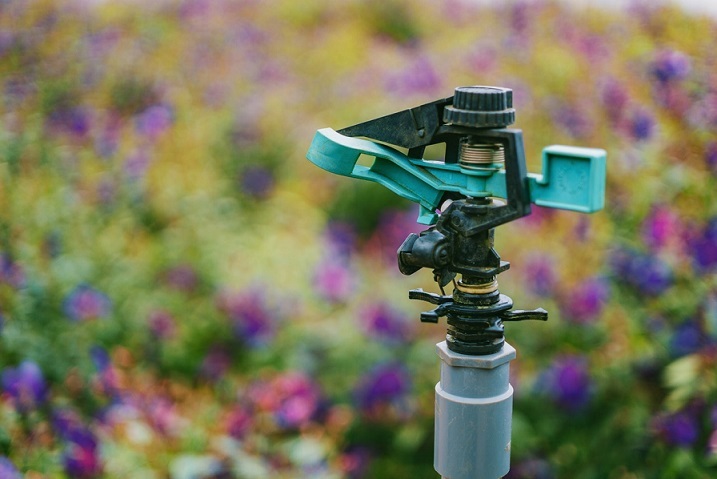 In fact, there several different types of irrigation that you can try, and all work by providing enough moisture to your grass, plants, flowers, and trees to keep them healthy. One is the traditional sprinkler type system, which includes installing heads onto hidden irrigation tubes. These can be then switched on certain intervals and then spray water over your garden, something that can be practically useful for keeping your lawn green. Although, it is worth noting that it’s best to use such devices when it is still relatively cold outside, such as the early morning or the night. Otherwise the sun can heat the water and end up bring your grass or your plants. The second type of irrigation that you can use is just the pipes without the sprinkler heads. This is often found flower beds, and the water reaches the plants because small holes are pushed directly into the house itself and this allows the water to leach out. Of course, such irrigation can be useful for keeping your plants and flowers green, and even growing vegetables in a hot climate too, without running the risk of them withering up and dying. Next, if you are looking to keep your garden as green as possible in a hot climate, then another smart tactic to use is to pick plants that are native to that place or other areas that are unusually warm. The reason being that they will be the best suited to survive and thrive in such temperature conditions. In particular, picking cacti can work well in an arid climate and provide some much need green and flora to break things up a bit. More tropical plants such as palms and ferns can work really well too, and even create jungle-like outdoor space that is fun to sit in, as well as just look at. Of course, there are other possibilities to consider as well, and one is to get rid of your grass entirely. After all, if you don’t have that huge patch of green in the middle of your garden to worry about, it can make achieving a lush garden much easier in a hot climate. One option is to replace all the grass you had without something else such as paving, decking, or even gravel. Although when doing this you do have to be careful about how you design such an area. Otherwise, it can end up looking more like a driveway or carpark than an actual garden. To that end including plenty of plants in pots, and even breaking things up with raised beds to make sure some green is injected into the area can help a lot. Another viable option here is to replace your real grass with synthetic grass instead. Then you get the authentic look and feel of grass without ever having to worry about watering it, or it going that horrible brown colour either. Finally, if you want your garden to grow green in then creating shade is a smart move. 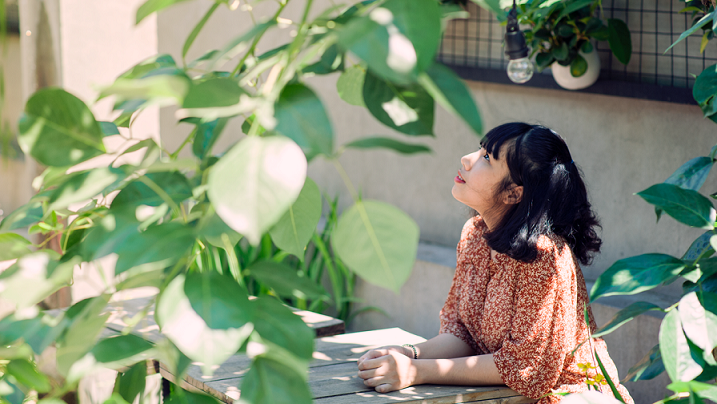 In fact, she is not just good for you and your family when you want to enjoy some time outdoors, but it can also help to provide areas of your garden in which less sun resistant plants will be able to grow happily and healthily. One way to create some shade is to erect a sunsail which is a large sheet of waterproof cotton strung on a rope to cover a particular section of the garden. Of course, you can use other methods to create shade too, such as planting trees and shrubs that over time will grow to a height where they form different lays of shade in your garden. Then you can begin to put other types of plants in their shadow and achieve a mix of flora that will be able to thrive, no matter what the time of year.